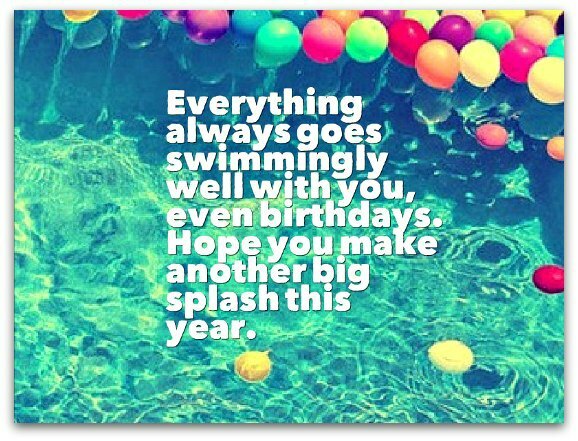 Clever birthday wishes, at their best, can be witty, inspiring, even smart. 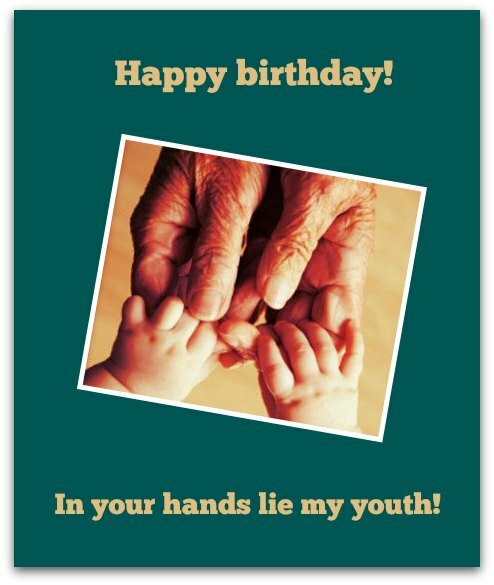 Find only the "best" clever birthday messages for your card, eCard or text here. Just pick the one that cleverly expresses what you want to say to someone special. Next, determine if what you want to say is clever enough or too clever for the birthday girl or boy. Considering the reaction of your special someone celebrating a birthday may seem like an obvious move, particularly when choosing a birthday wish, but most people tend to overlook it, caught up with finding a clever birthday message, any clever birthday message. Birthday wishes can be clever. But you may not want to be too “clever” with your birthday greetings. Some people prefer slightly clever birthday messages over a real “brain-teaser” of a birthday message. Others can’t wait to sink their teeth into a pun-laced, hard-to-solve birthday verse. "We like to challenge ourselves (part of us thinks we can't solve the riddle and another part thinks we can). We like to solve riddles because it proves to ourselves that we can solve problems. We want to be able to pat ourselves on the back for a job well done. We like to just know the answer to everything. A riddle is more fun when we remember it and can gloat about having solved it (when we tell it to someone else). The fun in riddles is that it is better than thinking about nothing." You can read the entire article right here. The same, I guess, goes for clever birthday verses, which contain riddle-like messages. So how far should you go with your clever birthday messages? If you think the birthday boy or girl would agree four or more the reasons why riddles are appealing (right above), you should choose a very clever birthday wish. This type of greeting is clever, yet not too cryptic. It's witty, but not too droll or campy. You can even choose a clever birthday wish that's inspiring. Whatever you do, just make sure it does not go over the head of the birthday boy or girl. If the recipient of your birthday message would agree with two or three of the reasons above, go for a semi-clever birthday verse. In other words, don’t be too clever with your choice. This group won't like the "smarty pants" approach, so express how you feel about the birthday boy or girl with just the right turn of phrase. If you believe that the birthday boy or girl would agree with only one of the above-mentioned reasons, don't go the clever route at all. A better option: go to my Birthday Wishes section to choose from many other styles — or by age or person. Even growing old — with all its aches, pains and wrinkles — has one redeeming quality: it takes so much time. Happy birthday! In life, it's not the person with the least birthday candles who wins — it's the one with the most! Wishing you many more birthdays! Growing old is unavoidable. Acting old isn't. Happy birthday! Happy birthday! Today, you’re one year older and one year closer to dressing like your parents. There is only one rule at your age! There are no rules! Have a wonderful birthday, no holds barred! Happy birthday! You're an adult! Now you can legally do out in the open what you've done secretly for years as a teenager. I must be psychic — I predicted you would start drinking as soon as you were legally an adult. Happy b-day! It’s not your birthday everyone is celebrating today — it’s just another excuse to "friend" you and wish you "happy birthday" on Facebook. You are exactly like wine. The more you mature, the better you taste. Have a wonderful birthday! Need to check out more options? Happy birthday! Don’t be sad that you're the perfect candidate for a mid-life crisis— it’s so much better than an end-of-life crisis. Happy birthday! Being a baby boomer nowadays means you've managed to live through the 60s: yours and the actual decade. Happy birthday! Although your limited warranty on your body parts is almost over, your lifetime warranty on your heart will not expire until you do. Happy birthday! At your age, the problem isn't the fact you've slowed down — it just seems like everybody else hasn’t. Happy birthday! Start thinking of your age in terms of hours — instead of years. This way, you've automatically added thousands upon thousands of hours to your life. Happy birthday! You’re not the only aging baby boomer who doesn’t see himself as old. Inside every senior is a teenager screaming for attention.